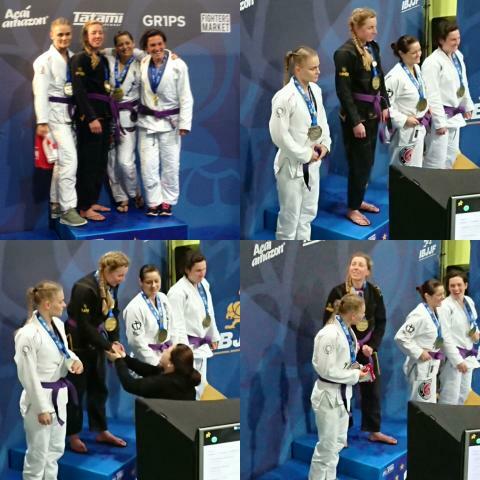 The European IBJJF Jiu-Jitsu Championship 2018 are currently taking place in Lisbon, Portugal . I guess for BJJ it's currently winning the Europeans (at masters lightweight), although my NAGA belt is also nice and shiny. For MMA, it's really the fact that I'm still doing something that seemed almost impossibly unachievable ten years ago. Find a team (or teams) and coaches you gel with and that don't have a problem with you training elsewhere on occasion. I also think that it's important to wrestle and do no gi as well as gi jiujitsu. They both encourage framing, making space and scrambling, which are areas that sometimes seem to be missing from gi BJJ. Then again, I like to make space by posting and framing on people's throats and faces, which is an element of my game that probably wouldn't be missed by anyone.